Samsung launched an online-only smartphone series in India today to take on the Chinese smartphone brands in India. The company calls it Galaxy M series and the company unveiled Galaxy M10 and Galaxy M20 today. Galaxy M10 is a budget smartphone and Samsung Galaxy M20 is a mid-range smartphone from the company. 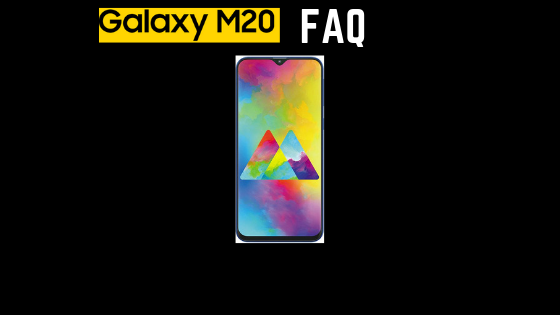 We posted the Frequently Asked Questions FAQ of Samsung Galaxy M10 recently and in this article, we will be answering the Samsung Galaxy M20 Frequently Asked Questions FAQ. 1)What is the Processor on the new Samsung Galaxy M20? Samsung Galaxy M20 is powered by Samsung’s new Exynos 7904 Octa Core Processor. It is a 1.8GHz Dual Core and 1.6GHz Hexa Core processor and is built on the 14 nm FINFET process. The graphics duties are handled by Mali -G71 MP2 GPU. 2) What is the price of Samsung Galaxy M20? Samsung Galaxy M10 is priced at Rs.10,990 for 3GB RAM/32GB storage variant and Rs.12,990 for 4GB RAM/64GB storage variant. Yes. Galaxy M20 supports Face Unlock option. 4) Does Samsung Galaxy M20 support Fast Charging? Yes. Samsung Galaxy M20 comes with a Type C port and support fast charging at 15W. It is bundled with a 15W charger in the box. 5) What are the RAM options in Galaxy M20? Samsung Galaxy M20 comes in two RAM variants. The base variant with 3GB RAM and another variant of Galaxy M10 comes with 4GB RAM. 6) What are the storage options? Does Galaxy M20 have MicroSD support? Galaxy M20 comes in two storage options i.e., 32GB and 64GB storage. Both the variants support MicroSD card up to 512GB. 7) What is the display on the new Galaxy M20? The new Samsung Galaxy M20 sports a 19.5:9 6.3-inch FULL HD+ Infinity V Display(similar to waterdrop notch) with a resolution of 2340 x 1080 pixels. It has a whopping 90% screen to body ratio. 8) Is the back of Galaxy M20 made of glass? No. The back of the Galaxy M20 is made of glossy plastic and is given a finish to look like glass. 9) Is there a Finger Print Scanner on Galaxy M20? Fortunately, yes. Samsung Galaxy M20 sports a Finger Print Scanner to the rear, unlike the Galaxy M10 which does not sport a Finger Print Scanner. 10) What is the battery size on Galaxy M20? Samsung Galaxy M20 is backed up by a mammoth 5000mAh non-removable battery with fast charging capability. 11) What are the cameras on the Galaxy M20? 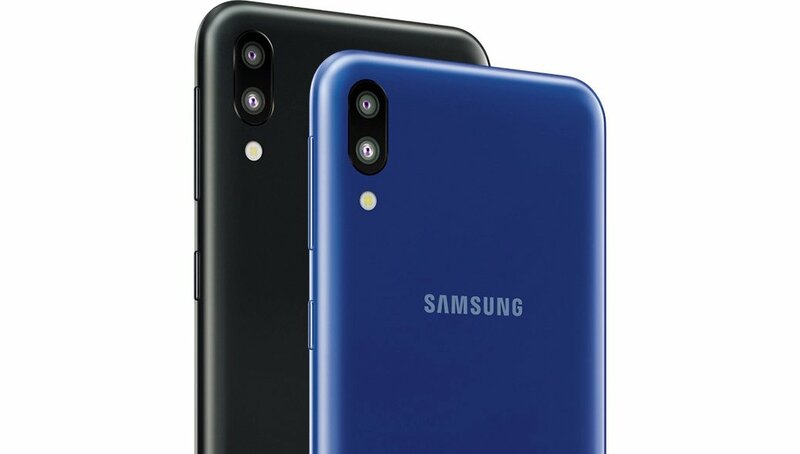 Both the Samsung Galaxy M20 and Samsung Galaxy M10 sport a Dual camera setup to the rear. It is a 13MP f/1.9 + 5MP f/2.2 setup. The secondary 5MP sensor is an ultrawide sensor. 12) What is the Software on the new Galaxy M20? Samsung Galaxy M20 runs on Android Oreo on top of Samsung Experience UI 9.5.